"We know that engagement in these programs makes a difference for our employees and our company." FOREST PARK, Ga.--(BUSINESS WIRE)--Humana Inc. (NYSE: HUM), one of the country’s leading health and well-being companies, has presented a Total Health Thriving Together Award to Dealers Supply Company, Inc., headquartered in Forest Park, Ga., for building a culture of health and well-being for its employee workforce. Humana’s Total Health Thriving Together Award is a national honor recognizing companies, like Dealers Supply, for achieving one of the best wellness engagement rates in the country. Dealers Supply has engaged 94 percent of its employees and family dependents in Go365 TM, a wellness and rewards program that helps individuals focus on personal health and well-being. Launched in 2015, Humana has presented the Total Health Thriving Together Award to more than 40 companies across the nation. The wellness engagement rate by Dealers Supply is one of the highest since inception of the award. Dealers Supply, a wholesale distributer of heating, ventilation and air conditioning equipment, supplies and accessories serving contractors throughout southeast United States, recognized four years ago that adopting a wellness and engagement program would help manage claims costs while also improving employee health and productivity. The company integrated its standard medical plan with Humana’s Total Health wellness solution in an effort to personalize wellness and encourage and incentivize behavior change in its 165 employees and their families located in Georgia and North Carolina. “We began our program one step at a time, starting with answering the health questionnaire, then moving on to the biometric testing,” she said. “To entice our employees we held weight loss challenges, conducted drawing for cash and prizes, held biometric screenings onsite and gave lots of attention to teaching our employees how to navigate the Go365 website. Through a three-year claims and productivity study, Humana found that, on average, those engaged employees with chronic conditions had 51 percent lower claims costs than unengaged employees with chronic conditions. 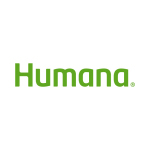 Humana’s Total Health has saved employers more than $12 million through engagement discounts since 2013. More than half of Total Health groups receive a wellness discount in their first renewal year, which increases to more than 70 percent of groups upon their second renewal in the program. About Dealers Supply Company, Inc. Founded in 1946, Dealers Supply Company, Inc. is a wholesale distributor of heating, ventilating and air conditioning equipment, supplies and accessories. We serve licensed heating and air conditioning contractors throughout the Southeast providing the very best in products, services and support.